Austin Perdana Ground Floor Shop Facing Main Road. Setia Eco Cascadia Shop For Rent. Taman Nusa Bestari , 1-Storey Shop For Rent. Taman Bestari Indah , Ulu Tiram . Shop For RENT. Warehouse for Sale/Rent in Gong Badak Terengganu. Semi-D Factory for rent @Skudai. Megah Ria Shop Lot For Rent , Rental Only Rm950. SEMI D FACTORY FOR RENT, KEMPAS UTAMA INDUSTRIAL PARK. KULAI INDAHPURA INDUSTRIAL PARK **DETACHED FACTORY FOR URGENT RENT- BELOW MARKET. Bandar Dato Onn 3-sty Shop (Ground Floor) for Rent. SEMI D FACTORY FOR SALE@SETIA BUSINESS PARK. Gelang Patah Factory for rent. Taman Molek 2sty Shop for Rent. FOR RENT - SETIA BUSINESS PARK II KEMPAS FACTORY CORNER LOT. 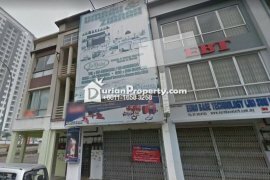 Bukit Indah 1-sty Shop Office for Rent. Setia Business Park 1 @ Nusajaya. Taman Impian Emas , Jln Impian Emas 7 / Shop For Rent. 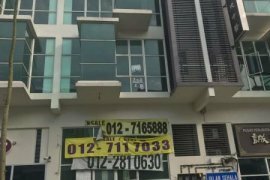 Taman Johor Jaya , Shop For Rent , Jalan Dedap. Hello, Please contact me, I am interested in commercial property for Rent in Malaysia. Best Regards.